Here's a sampling of projects we have Completed. 12kw Ground mount installed on beautiful Guemes Island. This Solar System will be paid off in six years. It will offset this Home's power bill 100%. This is a 7.5kw PV system installed at Ananda farms. 9.9kW Photovoltaic System installed on a commercial space with a metal seam roof. 2 Central Inverters with a combiner panel. 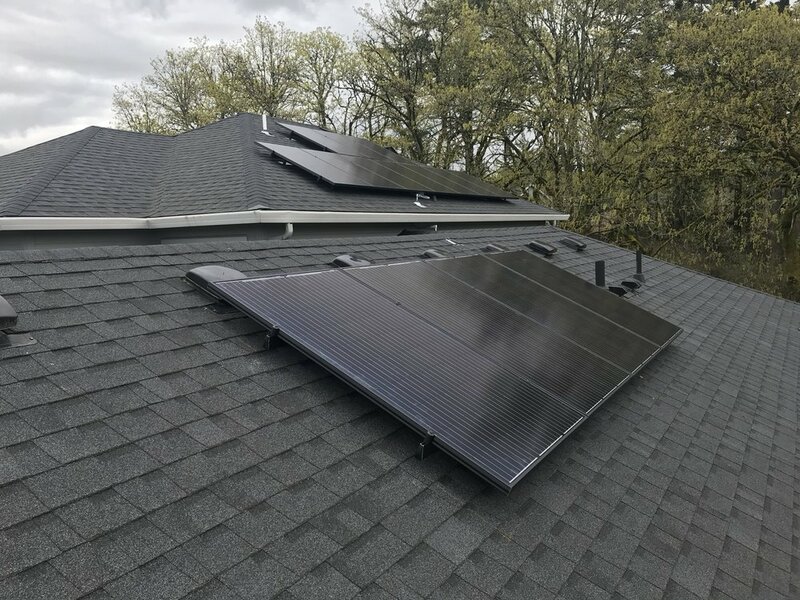 10.2kW Install on a 2 story composition roof. 7.6kW PV system installed on a composition roof. 9kW Photovoltaic system installed on a barn.